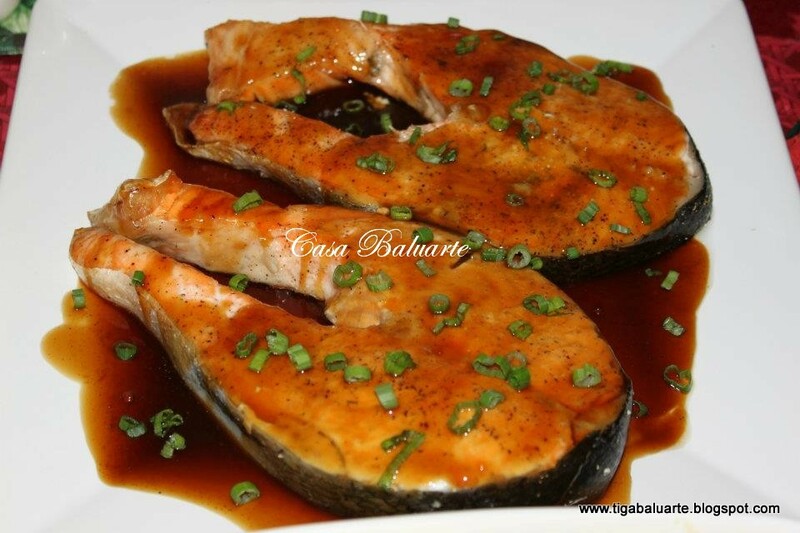 Season salmon with garlic salt, ground pepper and brush with butter. 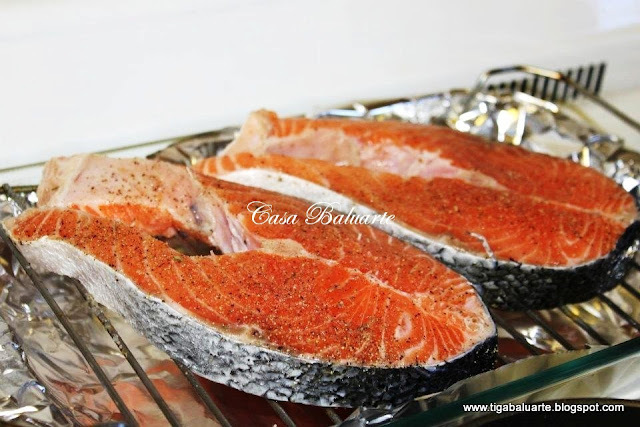 Place seasoned salmon in baking rack and place in the center of the oven. Cover with aluminum foil and bake for 40-45 minutes. Using a sauce pan mix all the teriyaki sauce ingredients (not including the cornstarch) and simmer in low heat till thickens. Taste test the sauce for desired sweet salty taste. Remember, you can always add or reduce sugar for desired taste. Once the sauce thicken or reduced to 1 cup add the cornstarch. Stir quick and remove from heat. Strain sauce to discard garlic and ginger pieces and set aside. Arrange salmon in a serving platter. Pour teriyaki sauce on top. Garnish with chopped green onion. Serve warm and enjoy!